U.S. stocks picked up right where they left off following Wednesday's rally. Investors were given a mixed bag of economic data covering U.S. manufacturing, initial purchasing managers' index in China, existing home sales, Fed activity among others. Investors are likely focusing more on Wednesday's dovish comments by the Fed who hinted that interest rates will remain lower for longer than some had expected. The Dow gained 0.06 percent, closing at 16,543.08. The S&P 500 gained 0.24 percent, closing at 1,892.49. The Nasdaq gained 0.55 percent, closing at 4,154.34. Gold gained 0.51 percent, trading at $1,294.70 an ounce. Oil lost 0.25 percent, trading at $103.81 a barrel. Silver gained 0.92 percent, trading at $19.51 an ounce. Initial Jobless claims rose 28,000 to 326,000, ahead of the consensus of 310,000 and a prior read of 298,000. Continuing claims declined 13,000 to 2.65 million. April Chicago Fed National Activity Index declined to negative 0.32 from positive 0.34 in March. U.S. May PMI Manufacturing Flash rose to 56.2 from 55.4 in April and topped the consensus of 55.9. April Existing Home Sales rose to 4.65 million from 4.59 million in March but fell short of the consensus of 4.69 million. April Leading Index rose 0.4 percent to 101.4 percent, matching March's 0.4 percent rise. April Coincident Index rose 0.1 percent after rising 0.3 percent in March. April Lagging Index rose 0.2 percent after rising 0.7 percent in March. EIA Natural Gas Inventory rose 106 bcf, above the consensus for a gain of 103 bcf. May Kansas City Fed Manufacturing Survey rose to 10.0 from 7.0 in April, topping expectations of 7.0. China's preliminary May HSBC PMI rose to 49.7 from April's 48.1, ahead of analysts estimates for 48.3. Analysts at Sterne Agee maintained a Buy rating on Actavis (NYSE: ACT) with a price target raised to $250 from a previous $230. Shares gained 2.05 percent, closing at $212.52. Analysts at Topeka Capital maintained a Buy rating on American Eagle Outfitters (NYSE: AEO) with a price target lowered to $15 from a previous $16. Meanwhile, analysts at JPMorgan, UBS and Nomura maintained Neutral ratings with price targets all lowered to $11 from previous price targets of $13,$14 and $13, respectively. Shares gained 1.60 percent, closing at $10.77. Analysts at Drexel Hamilton upgraded Boeing (NYSE: BA) to Buy from Hold with a $153 price target. Shares gained 0.67 percent, closing at $131.84. Analysts at UBS initiated coverage of CF Industries (NYSE: CF) with a Neutral rating and $268 price target. 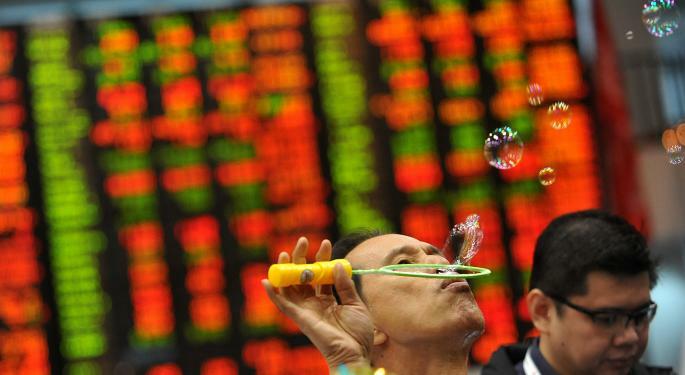 Shares lost 0.36 percent, closing at $244.61. Analysts at Evercore Partners upgraded Facebook (NASDAQ: FB) to Overweight from Equal-weight with a price target raised to $75 from a previous $69. Shares gained 0.05 percent, closing at $60.52. Analysts at Roth Capital downgraded Keurig Green Mountain (NASDAQ: GMCR) to Neutral from Buy with an unchanged price target of $120. 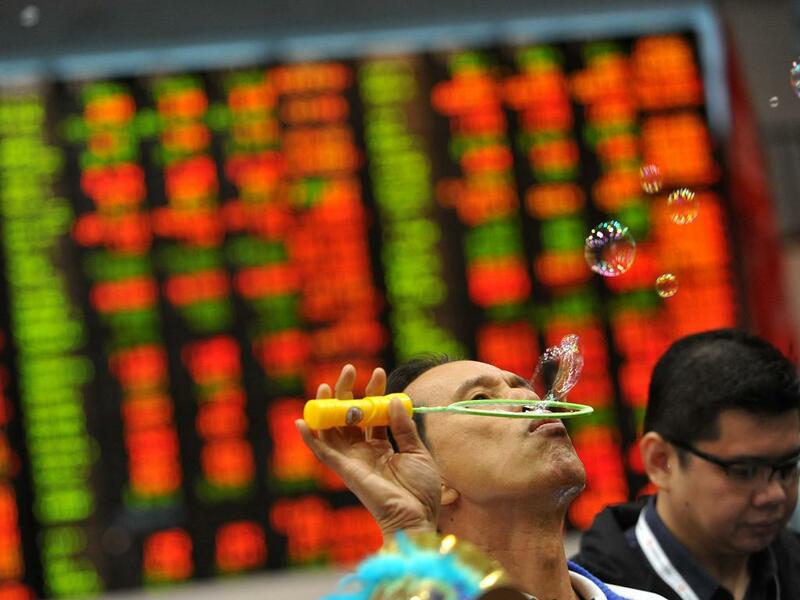 Shares lost 0.38 percent, closing at $113.37. Analysts at JPMorgan maintained an Overweight rating on Kroger (NYSE: KR) with a price target raised to $53 from a previous $48. Shares hit new 52-week highs of $47.45 before closing the day at $46.31, down 1.45 percent. Analysts at UBS maintained a Buy rating on Lowe's Companies (NYSE: LOW) with a price target lowered to $56 from a previous $58. Also, analysts at Deutsche Bank maintained a Buy rating on Lowe's with a price target lowered to $54 from a previous $57. Shares gained 3.26 percent, closing at $46.89. Analysts at UBS maintained a Neutral rating on PetSmart (NASDAQ: PETM) with a price target lowered to $62 from a previous $72. Meanwhile, analysts at Deutsche Bank maintained a Sell rating on PetSmart with a price target lowered to $50 from a previous $60. shares lost 2.24 percent, closing at $55.74. Analysts at Roth Capital initiated coverage of Sarepta Therapeutics (NASDAQ: SRPT) with a Buy rating and $52 price target. Shares gained 4.51 percent, closing at $32.54. Analysts at Barclays downgraded SodaStream (NASDAQ: SODA) to Underweight from Equal-weight with a price target lowered to $35 from a previous $40. Shares lost 3.53 percent, closing at $38.22. Analysts at JPMorgan maintained a Neutral rating on Target (NYSE: TGT) with a price target lowered to $62 from a previous $64. Also, analysts at UBS maintained a Neutral rating on Target with a price target lowered to $59 from a previous $61. Shares lost 2.12 percent, closing at $55.99. Analysts at Macquarie maintained a Neutral rating on Tiffany (NYSE: TIF) with a price target raised to $105 from a previous $95. Also, analysts at Nomura and Topeka Capital both maintained Buy ratings with price targets raised to $110 (from a previous $100) and $115 (from a previous $110), respectively. Shares hit new 52-week highs of $97.50 before closing the day at $96.55, up 0.26 percent. Unilever (NYSE: UL) has sold its Ragu and Bertolli brands to Japanese based Mizkan Group for $2.15 billion. Shares of Unilever lost 1.12 percent, closing at $44.92. World Wrestling Entertainment (NYSE: WWE) will partner with Lions Gate (NYSE: LGF) to create six action films. Paul Wright, a.ka. “The Big Show” will act in the first film. Shares of WWE lost 0.37 percent, closing at $10.81 while shares of Lions Gate lost 0.94 percent, closing at $27.50. Executives speaking at McDonald's (NYSE: MCD) annual shareholder meeting acknowledged weakness in sales growth and added that new menu items are on the drawing board. Shares lost 0.11 percent, closing at $102.45. Reynolds American (NYSE: RAI) is involved in discussions to acquire Lorillard (NYSE: LO) but analysts and investors are questioning if a deal like this could transpire. Analysts at Stifel said that regulators would show concern over the size of a newly formed entity. Shares of Reynolds American lost 2.06 percent, closing at $58.53 while shares of Lorillard lost 4.98 percent, closing at $59.51. Marathon Petroleum (NYSE: MPC) will purchase Hess' (NYSE: HES) retail business for $2.87 billion. Shares of Marathon Petroleum lost 0.89 percent, closing at $86.91 while shares of Hess gained 1.11 percent, closing at $90.29. General Electric (NYSE: GE) has agreed to extend its bid for Alstom's power division until June 23 in order to better “facility ongoing discussions with the [France] government.” Shares gained 0.08 percent, closing at $26.51. Sarepta Therapeutics (NASDAQ: SRPT) acquired a 26-acre manufacturing facility for its Duchenne muscular dystrophy therapies ahead of a potential launch of its drug which could be as early as 2015. Shares gained 4.53 percent, closing at $32.55. Cree (NASDAQ: CREE) introduced its Xlamp XP-L LED light-bulb which the company claims offers an immediate performance increase of 50 percent or more. Shares gained 3.16 percent, closing at $47.63. France based Vivendi will sell 41.5 million shares of Activision Blizzard (NASDAQ: ATVI) at $20.70 for a net proceed of $850 million. Shares of Activision lost 1.58 percent, closing at $20.54. This morning, Dollar Tree (NASDAQ: DLTR) reported its first quarter results. The company announced an EPS of $0.67, in-line with the consensus estimate. Revenue of $2 billion missed the consensus estimate of $2.01 billion. Net income for the quarter rose to $138.3 million from $133.5 million in the same quarter a year ago as comparable-store sales rose two percent and operated 88 net new stores. Dollar Tree issued guidance and sees its second quarter EPS to be $0.58 to $0.64 versus a consensus estimate of $0.64. Full year fiscal 2014 EPS is guided to be in a range of $2.94 to $3.12, below the consensus estimate of $3.17. Despite issuing guidance below Street estimates shares rose 6.62 percent, closing at $53.31. Sanchez Energy (NYSE: SN) announced on Wednesday that it had purchased $639 million in assets from Royal Dutch Shell's Eagle Ford shale. The acquisition will boost Sanchez's holdings in the Eagle Ford shale gasfield region to 226,000 acres with up to 3,000 potential drilling locations that could produce more than 42,000 barrels of oil equivalent per day. Shares hit new 52-week highs of $34.50 before closing the day at $31.41, up 8.84 percent. Chinese based 58.com (NASDAQ: WUBA) reported its first quarter results. The company announced an EPS of $0.03, missing the consensus estimate of $0.04. Revenue of $48.2 million beat the consensus estimate of $44.63 million. Operating expenditure rose 63.8 percent year over year to $44.14 million which cut in to the company's bottom line. Net income for the quarter rose to $3.3 million from a net loss of $4.7 million in the same quarter a year ago as revenues saw a triple-digit percent rise and the company's unique visitors exceeded 200 million for the first time. 58.com issued guidance and sees its second quarter revenue coming in a range of $61 million to $63, above the consensus estimate of $57.8 million. However, the rise in revenue comes with a potential for margin compression, according to analysts. Shares lost 8.24 percent, closing at $38.29. According to SearchEngine, RetailMeNot's (NASDAQ: SALE) traffic has fallen by around one third following the impact of Google's Panda 4.0 search algorithm going live. The company responded by saying that it is too early to judge the impact of Google's algorithm while noting that the many of its digital coupons aren't currently monetized so traffic trends is not necessarily correlated with revenues. However, the company did admit that it “has experienced some shift in rankings and traffic.” Shares plunged to new 52-week lows of $24.54 before closing the day at $25.23, down 18.72 percent. Rumors circulated across many trading and news desks that Bill Ackman's Pershing Square will announce a short position in Apollo Education. (NASDAQ: APOL) Shares lost 9.34 percent, closing at $27.31. ITT Educational (NYSE: ESI) disclosed that it has not received a decision from the SEC related to weather or not the results of a variable interest entity involved in a private loan program needs to be consolidated into the company's result. The company withdrew its full year guidance as a result of the uncertainty from the SEC's pending decision. Additionally, ITT Education reported that new student enrollment fell 3.8 percent year over year to 16,746 while total student enrollment fell 6.4 percent year over year to 57,125. Shares plunged to new 52-week lows of $17.54 before closing the day at $20.50, down 20.54 percent. This morning, Sears Holdings (NASDAQ: SHLD) reported its first quarter results. The company announced an EPS of -$2.24, missing the consensus estimate of -$1.97. Revenue of $7.87 billion beat the consensus estimate of $7.85 billion. Net loss for the quarter deepened to $402 million from a net loss of $279 million in the same quarter a year ago as revenues declined by nearly seven percent year over year and the company relied on heavy promotional activity which caused a 220 bp decline in the gross margin rate. Sears' CEO Eddie Lampert commented that the company is undergoing a significant transformation and is “moving away from a company that was heavily based on selling products solely through a store-based network to a member-centric business model focused on providing benefits to our members anytime and anyplace.” In the U.S. comp sales at Sears were up 0.2 percent but would have been up 0.8 percent “excluding the impact of consumer electrics industry trends.” Comp sales declined 2.2 percent in Kmart and plunged 7.6 percent in Sears Canada. Shares gained 4.21 percent, closing at $38.10. This morning, Best Buy (NYSE: BBY) reported its first quarter results. The company announced an EPS of $0.33, beating the consensus estimate of $0.20. Revenue of $9.03 billion missed the consensus estimate of $9.20 billion. Net earnings for the quarter improved to $461 million from a net loss of $81 million in the same quarter a year ago driven by a 29 percent rise in comparable online sales and higher online orders taken at retail stores. However, comparable-store sales declined 1.9 percent causing a 70 bp drop in the company's gross profit rate to 22.7 percent. Best Buy projected its comparable sales to be negative in the low-single digits in the second and third quarter. Shares gained 3.43 percent, closing at $26.22. Hewlett-Packard (NYSE: HPQ) released its second quarter results towards the end of the trading day ahead of schedule. The company announced an EPS of $0.88, in-line with the consensus estimate. Revenue of $27.3 billion missed the consensus estimate of $27.41 billion. Shares were trading lower by 2.01 percent at $31.14 in the after-hours trading session. After the market closed, Gap (NYSE: GPS) reported its first quarter results. The company announced an EPS of $0.58, beating the consensus estimate of $0.57. Revenue of $3.77 billion beat the consensus estimate of $3.71 billion. Shares were trading lower by 0.39 percent at $40.70 following the earnings release. After the market closed, GameStop (NYSE: GME) reported its first quarter results. The company announced an EPS of $0.59, beating the consensus estimate of $0.57. Revenue of $1.99 billion missed the consensus estimate of $2.03 billion. Shares were trading higher by 3.04 percent at $38.00 following the earnings release. "Deutsche Bank has become a big legal department with a banking subsidiary.” – Frustrated Deutsche Bank shareholder speaking speaking at the company's annual meeting.